Our journey through North Vietnam begins in Hanoi, the ancient capital of Thang Long, today’s political capital. 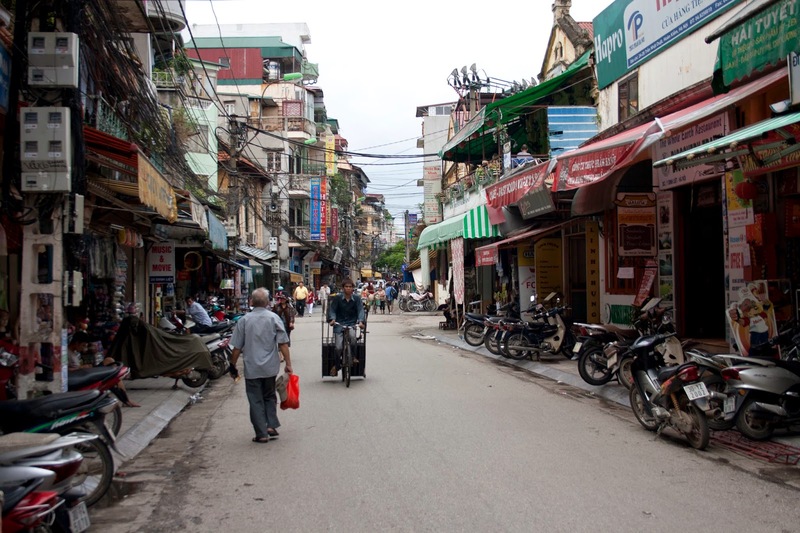 Visitors to Hanoi will encounter the cultures of both east and west. In this bustling city, the changing fortunes of history are reflected in the architecture of its many traditional temples and pagodas, and the lingering presence of the French remnants of its colonial past. 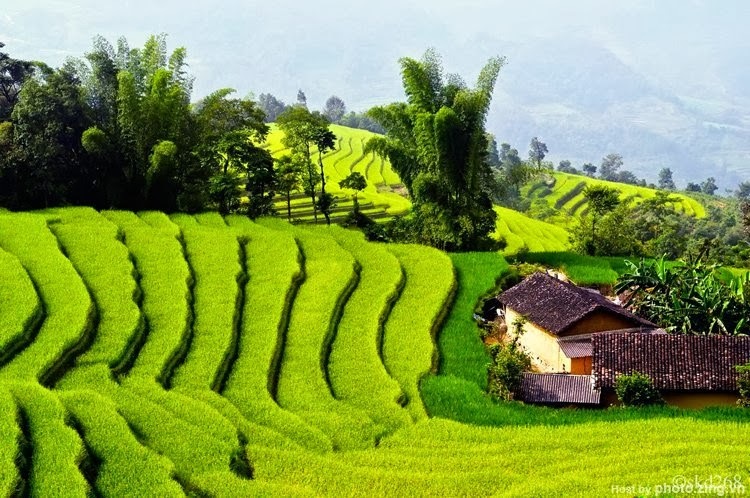 Chequer-board patterned paddy fields. Green belts of trees and bamboo enclose villages where traditional communal houses, pagodas and temples remain hidden from view beyond the roadside fields. Little mechanization is evident. Men, women, children and buffalo toil together in the fields seven days a week in all weathers. The scene is one of tranquil beauty, but the hardship of this life is obvious. The eastern tour explores the rural landscapes, ancient temples and pagodas of Hai Hung and Thai Binh provinces, the busy port of Haiphong and the stunning scenery of Halong Bay in Quang Ninh Province. The tour west of Hanoi begins in Ha Son Binh Province with its many beautiful old pagodas, sanctuaries and grottoes, and encompasses the plateaus and mountains of Son La and Lai Chau provinces. The northern tour from Ha Bac, a province full of historical sites, temples and pagodas, continues into Vinh Phu Province, the cradle of the ancient Hung Lac civilization and Kingdom of Van Lang. Further north lie Bac Thai Province and the provinces of Hoang Lien Song, Ha Tuyen, Cao Bang and Lang Son bordering China in the north. 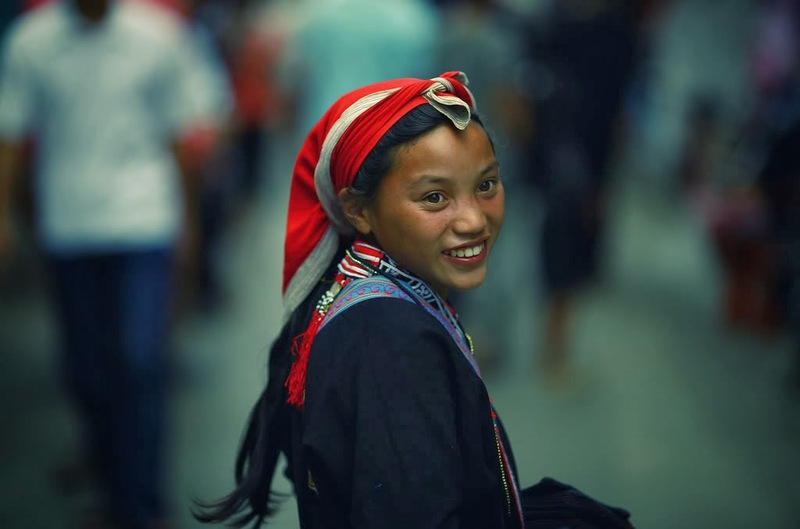 This mountainous region is home to many minorities, yet remains largely inaccessible to foreign visitors due to border disputes between China and Vietnam.